This is the kids club’s current birthday card, which will be retired this summer. We’re looking for the next birthday card design. For children, summer is for getting out of school, swimming, going on vacation. 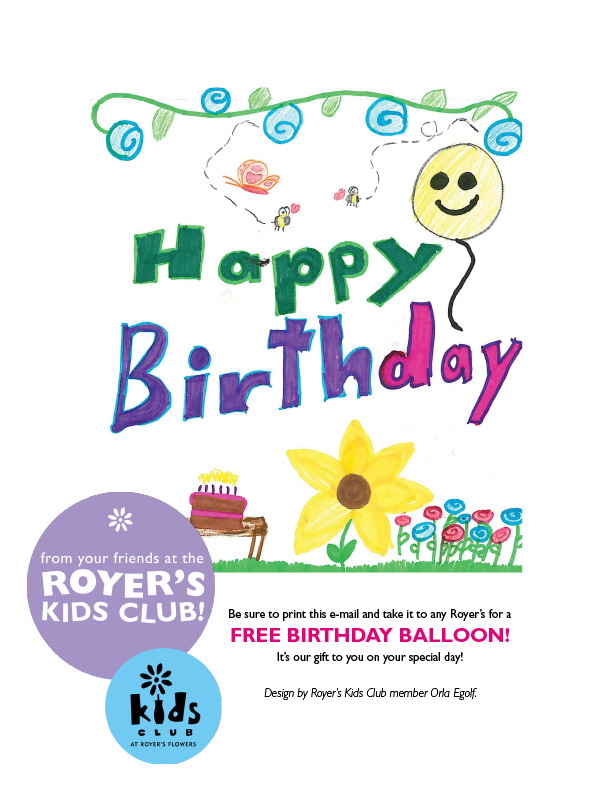 And entering the 2014 Royer’s Kids Club birthday card design contest, which is open to children ages 5 to 12 in Berks, Cumberland, Dauphin, Lancaster, Lebanon and York counties. The deadline to enter is July 12. The winning design will be featured in the email birthday card that every kids club member receives on his or her special day. The winning artist will receive a free flower delivery on his or her birthday. The entry form may be downloaded at www.royers.com/kidsclub and dropped off at the nearest Royer’s store.